West Fargo Sheyenne High School Theatre needed posters to promote its upcoming productions, including the Summer Arts Intensive, a part of the West Fargo Theatre Program. 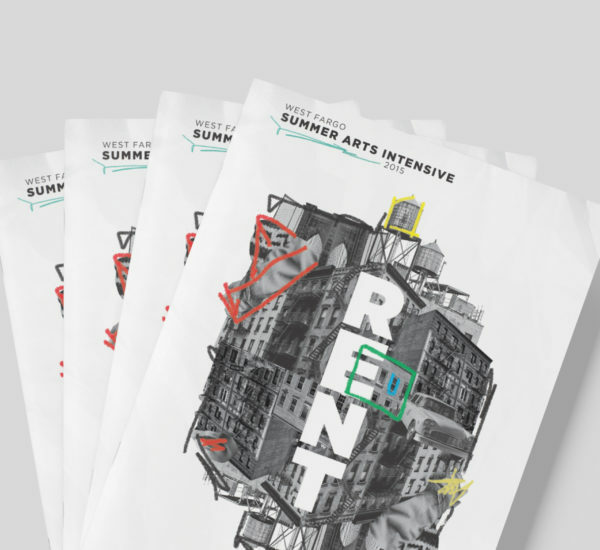 Super Studio created promotional materials for severalWest Fargo Sheyenne High School and Summer Arts Intensive productions, including Rent, Fiddler on the Roof, and Hair. 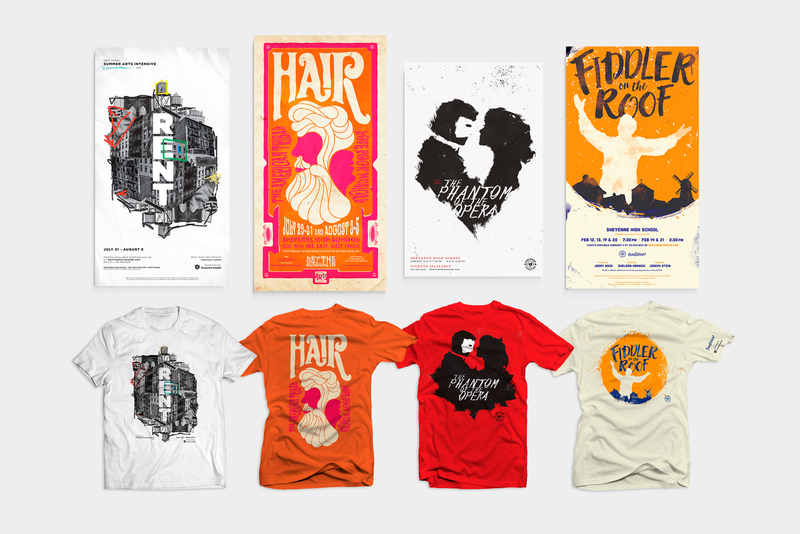 Pieces included everything from posters and online ads to T-shirts, playbills and buttons.